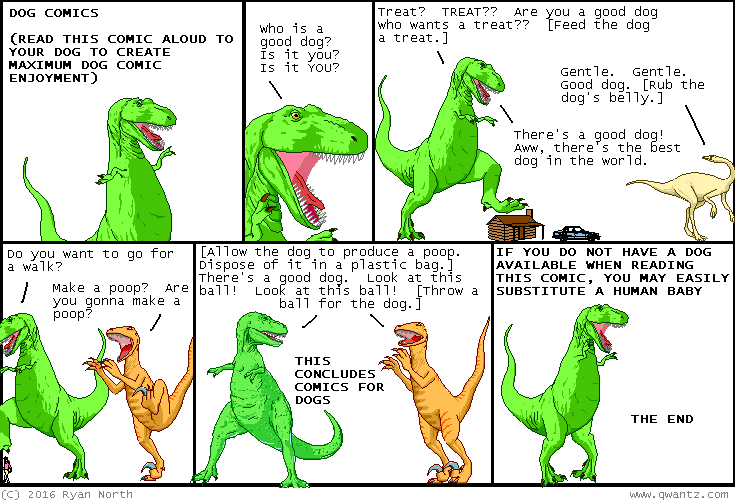 Dinosaur Comics - October 24th, 2016 - awesome fun times! –And then I would like my carbon remains to be crushed into diamonds, please! October 24th, 2016: Phew! What a safe comic after all that spooky All Hallow's Eve terror. I for one can feel my sanity returning!! One year ago today: Oh, to be the one who looked at mushrooms and said "My pals died after eating THESE spore-bearing fungi, but I bet these OTHER spore-bearing fungi are delicious. And when I'm done, I'm gonna see what these nightmare monsters from the briney deep taste like".